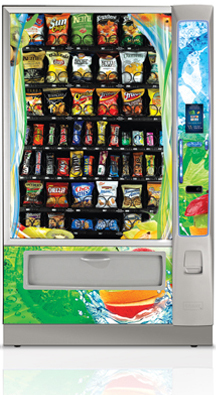 Allan’s Vending offers a large variety of snacks and snack vending machines. Snack Vending Products include: chips, candy, popcorn, granola bars, Chex Mix, pretzels and more. National brands include Kit Kat, Cheez-It, M and Ms, Frito Lays, Hersheys, Nutri-Grain, and many more.